* Picture and text unrelated. It seems that Japanese women are riddle to many foreign people. I found an interesting article and would like to review it here. ■1: They say “Thank you” too often. It was commented by a German person that it was surprising when he was shopping and bought in the end an item which was only 100 yen in a convenience store, a shop assistant said “thank you” 3 times to him. It is a part of the customer service in the Japanese industries but probably makes them look overly polite. I also read once a comment by an Italian traveler about cleaning crews on the trains. He excitedly described that the crews, once they were done with the cleaning were smiling and greeting to each passengers at the door. He was truly impressed. 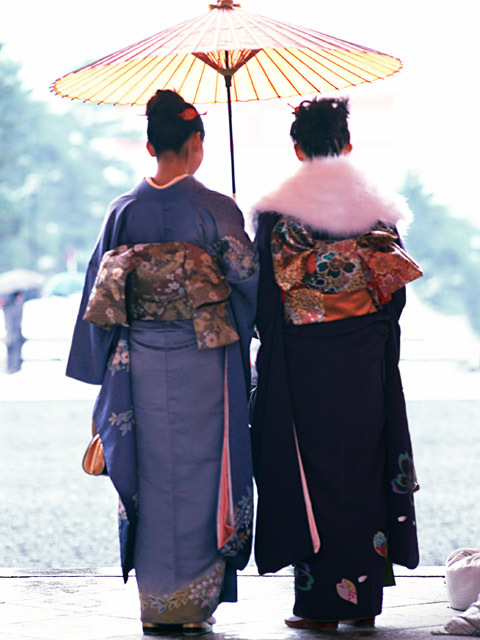 It is unique to the Japanese society and functions an essential social lubricant in our society. ■2: Why do they dye their beautiful black hair? Most of the Japanese do not have brown hair. It may come from their eternal adoration for something which they can never have. Ditto trend of white skin! ■3: Why do they giggle when they do not understand English? Japanese women and sometimes men smile when feeling awkward or embarrassed. This may look strange and be offensive sometimes but is based on the Japanese culture which people try to read other’s feeling without asking direct questions. This cultural aspect is often depicted as beauty, comical, or conflicting in many TV dramas too. That is the Japanese culture. But it is agreeable that we should be more definitive when talking in difference languages! By the way, Japanese women are not the only ones who have this habit. I once was very surprised when I happened to talk with some Finnish women as I felt the sense of affinity with them. They laugh, giggle or smile when they are embarrassed or in a position in which they do not know what to say. Their sense of timing during the conversation is also familiar to me. They do not shoot words but know how to pause and do not seem uncomfortable with the pauses during the conversation. Are You a Real Human? or Humanoid?